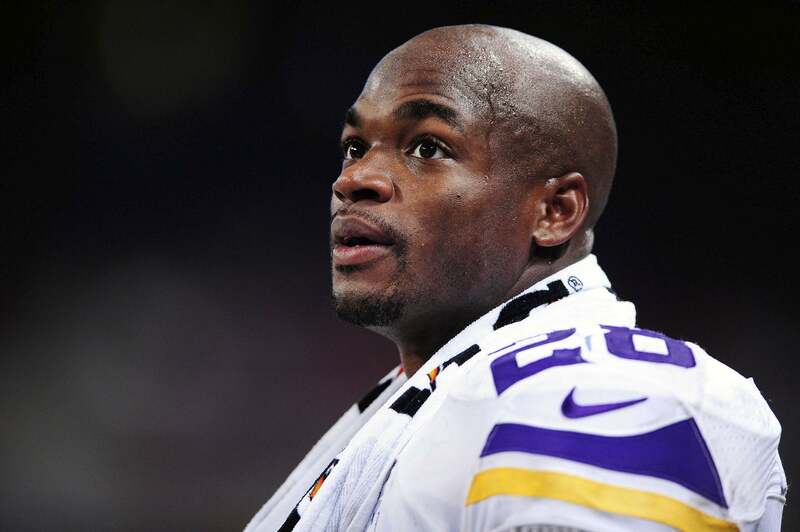 Expert: Line between discipline and child abuse a "gray blur"
With the Adrian Peterson child abuse allegations in the spotlight, questions are emerging about the legality of spanking a child. Peterson is accused of using a wooden switch to spank his 4-year-old son. He faces a charge of reckless or negligent injury to a child, which carries penalties of up to two years in prison. Late Monday, a second accusation of child abuse surfaced against Peterson, dating back more than a year. CBS News legal analyst Rikki Klieman told "CBS This Morning" Tuesday that 19 states allow corporal punishment outside the home - but the legal line is hazy. "The line is really a gray blur," Klieman said. "The law is not meant for the state to interfere in that precious relationship of a parent and a child unless the disciplining of that child crosses that line. What does that mean? A prosecutor decides whether or not to indict with a grand jury and ultimately the jury decides. Does this conduct shock the conscience or is it acceptable in that house?" On Sunday, former basketball player-turned-analyst Charles Barkley sympathized with Peterson and defended the former MVP's behavior, saying: "Whipping -- we do that all the time. Every black parent in the South is going to be in jail under those circumstances ... We spank kids in the South." Chronicle of Higher Education reporter Stacey Patton said that she wasn't surprised by Barkley's comments, saying research shows that African Americans are more likely to embrace corporal punishment than other groups. "This is seen by many as part of a cultural tradition and coming out against it, some people think of it as disrespecting our culture, disrespecting our mothers and the way we do things," said Patton, who is the founder of Spare the Kids, a group that opposes corporal punishment. Patton said that she found the police report on Peterson "disturbing" and compared it to child abuse files in county prosecutors' offices nationwide. "You'll see striking parallels. You'll see themes emerging - children being hit with switches, belts, cell phone chargers, flip flops and parents saying, 'This is discipline, this is a spanking, I do this out of love and to teach my child,'" Patton said. Peterson's attorney, Rusty Hardin, said previously his client acknowledged striking his son as a form of discipline similar to what Peterson endured as a young boy growing up in Palestine, Texas. On Monday, the Vikings reinstated Peterson, who issued a statement that said he wanted "everyone to understand how sorry I feel about the hurt I have brought to my child." "I am not a perfect son. I am not a perfect husband. I am not a perfect parent, but I am, without a doubt, not a child abuser," Peterson said in the statement. "I am someone that disciplined his child and did not intend to cause him any injury. Klieman said Peterson's statement, likely co-drafted by Hardin, is "one of the most perfectly crafted I have ever witnessed." "We see remorse, we see the taking of responsibility, we see someone who apologizes, consistently that he cooperated with the authorities," Klieman said. "And although some people may not like his parenting skills, he says 'I am not a child abuser.' I think that's about as good as it gets." According to the CDC, more than 3 million referrals of child maltreatment are received by state and local agencies each year. A 2012 report by the Department of Health and Human Services found that roughly 1,640 children died of abuse and neglect. The consequences of child abuse can be severe and long-term. According to a report by the government-funded Child Welfare Information Gateway, 28 percent of child abuse victims suffered chronic health problems, including head trauma and impaired brain development. There are also potentially devastating mental repercussions. "The emotional effects of abuse and neglect--isolation, fear, and an inability to trust--can translate into lifelong psychological consequences, including low self-esteem, depression, and relationship difficulties," the report said. Another study revealed child abuse changes kids' brains in ways that are often seen in soldiers who have been exposed to combat.